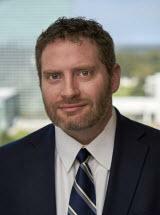 Phillip joined the firm upon his graduation from law school in May of 1999. Since joining the firm Phillip has concentrated on litigation and has handled cases involving in a variety of areas including maritime personal injury, commercial litigation, premises liability, and oil and gas law. At LSU Law School, Phillip received class high grades in Criminal Law, Constitutional Law II, and History of European Law. Phillip also participated in the LSU Law School summer study program in France, where he studied under U. S. Fifth Circuit Court of Appeal Senior Judge Henry Politz and former U. S. Attorney General Richard Thornburgh. Together with Richard Gerard, successfully secured the complete dismissal on summary judgment of claims against their client seeking over $51M in damages for alleged trade secret violations, breach of contract, and unfair trade practices. This dismissal was affirmed on appeal by the Federal Fifth Circuit Court of Appeal. Mayne & Mertz, Inc. v. Excalibur Land Company, 2009 WL 3678253 (W.D. La. 2009), affirmed on appeal, 401 Fed.Appx. 871 (5th Cir. 2010). Secured summary judgment which was affirmed on appeal dismissing trespass action claiming that hazardous material had been placed on property without landowner's consent. Landry v. Laney Directional Drilling, 09-615 (M.D. La. 2010). Together with Scott Scofield, represented Southwest Louisiana Convention and Visitor's Bureau against its insurer for bad faith adjustment practices, which resulted in a settlement recovering all of their client's covered claims, and additional amounts for penalties, damages, attorneys fees, and jury costs. Secured summary judgment dismissing trespass action seeking treble damages against a geophysical company. Braneff v. Tidelands Geophysical Co., 2008 WL 4960231 (W.D. La. 2008). Along with Scott Scofield, successfully secured summary judgment dismissing claims against employer for intentional infliction of emotional distress, assault, defamation, hostile work environment and invasion of privacy. Groff v. Southwest Beverage Co., Inc., 2008-625 (La.App. 3 Cir. 11/5/08), 997 So.2d 782. Successful representation of physicians in action for breach of option contract, fraud and damages against hospital resulting in pre-trial settlement in excess of one half million dollars.